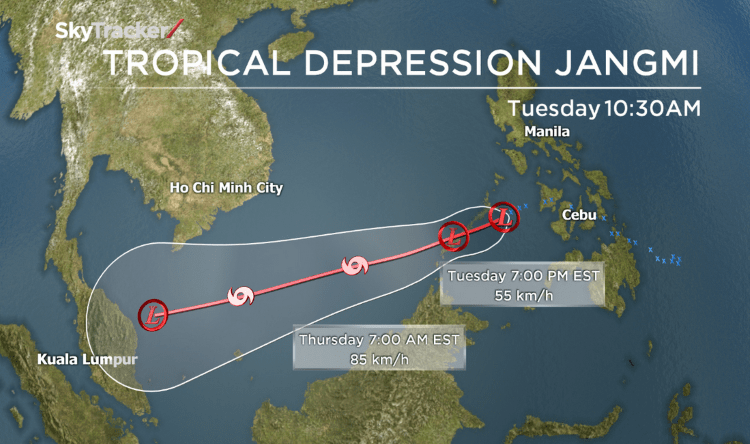 Recently there are speculation in social media about been worry that tropical storm Jangmi is going to hit East Coast of Peninsular Malaysia, which might worsen again the terrible flood. Tropical Cyclone Jangmi (or known as Typhoon Jangmi, Typhoon Ofel (in Philippine) or ribut tropika Jangmi) have its destructive force when at highest speed can reach wind speed of 215 km/h. It has been a fear to the Pacific island country such as Japan, Taiwan, Philipine since 2000. However, luckily MET Malaysia (Malaysian Meteorological Department) has announced in 1st January 2015 that Jangmi is tame a lot and shouldn’t be worry much for now. 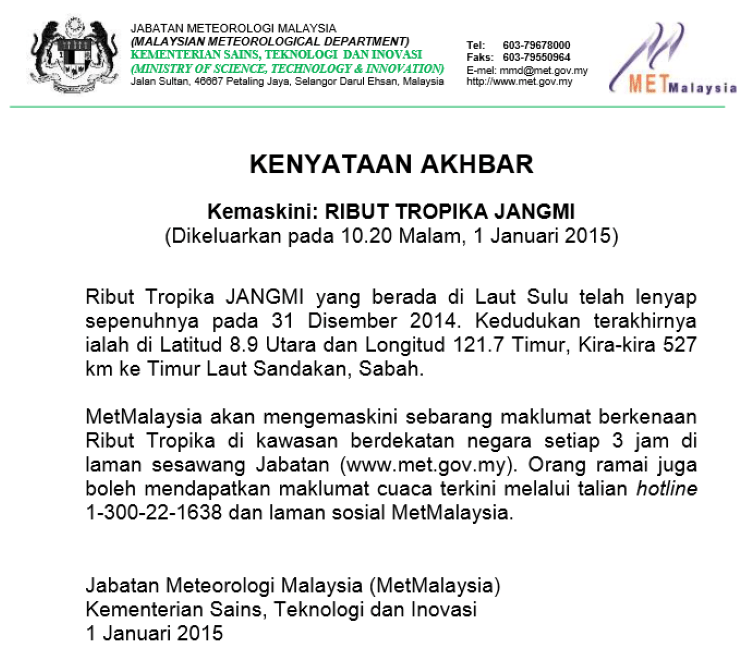 The press release on 1 Jan 2015.